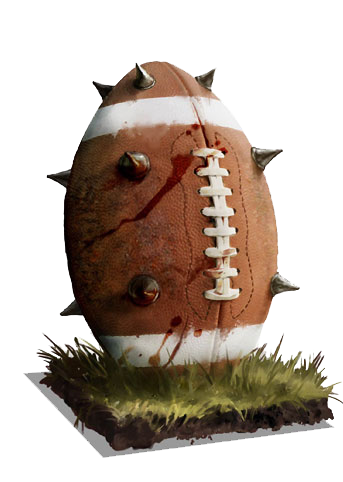 Ladies, gentlemen and trolls, here they are, the four team waging blood bowl for the NUL season 9 CHAMPIONSHIP! Play on gentlemen! And chaosfolks. And smaller chaosfolks. And dead folks. And rotten folks. Feeder is set up for you. So, Kvasil... here we go again. When can you face our pretty ones? I'm quite busy but Thursday could make it work around 21 CET. Otherwise we are in next Tuesday... again 21 CET. I can play on thursday, but can't play this weekend. Next week I should be free thursday, friday and saturday (except for the night on saturday). Oh man, I'm afraid both those days are impossible for me, booked both of those. I can play pretty much any time Saturday, I can play today after work. Next week, I can play pretty much any evening except Tuesday, since there's a pub quiz. Well, being a bit sick and taking care of our sick boy tends to drain the lot of you. I'm not sure I can manage a game to night. And Saturday will be a all game day for us oldies, we manage that once a year so.. table top games and beer will be nice and of course no BB. Lets see how next week looks then. Thursday sound Ok for me now, 21 cet of course. Hey Golden... waiting for you online. Edit: Going to watch a game until 21.30 just in case there's some time zone confusion. Pls leave a message here if you get online as I will check regularly. Edit2: I'm done waiting, good night. I keep wasting my time logging in and waiting for people due to either poor communication, the other guy being late or just plain forgetting about the match. I seriously try to prioritize being available and stating my times as early as possible to be able to plan my week. My high availability is NOT due to lack of other things to do. If real life happens, then OK, I'll just have to live with it, but the frequency of these things happening as of late is really tearing into me. I'm so sorry, I was doing some homework and completely forgot about the game (didn't hear my cell signal). I know I haven't been the best at this and that's because I have so much going on right now that I can't make this game my main priority and it has slipped my mind (more than ones too sadly ). I won't be avaible for a week either so if you don't want to wait or don't have the time to play I would happily give you a walk over. I'm fine with that rule. Whenever I (suddenly) cannot play, I make sure to post in the forum, even if it's from my phone somewhere. Can't say I've had to wait for anyone, but can easily imagine it being very frustrating. So yeah, if you're a no-show without warning, an admin loss is fine.